January 2018: The Smart ForTwo was the top-selling electric car model in Germany with Smart also by far the leading electric car brand. In January 2018, the best-selling electric car model in Germany was the Smart Fortwo, ahead of the Kia Soul and Volkswagen Golf. The Renault Zoe slipped to fourth. Smart was also the leading electric carmaker in Germany in January 2018 followed by VW, Kia and Renault. New electric passenger vehicle registrations in Germany in January 2018 more than doubled to 2,764 cars compared to 1,323 electric cars sold in January 2017. Total new passenger vehicle (PKW) registrations in Germany in January 2018 according to the KBA were 269,429 cars giving electric cars a market share of 1.03% of the total German new car market. Only 14 car brands sold electric cars in Germany in January 2018 with most selling rather insignificant numbers. Due to the relatively low actual numbers involved, large orders from car rental or car sharing firms may severely influence the electric car market. Smart was the clear leading electric car brand in Germany in January 2018 selling nearly a third of all electric cars. 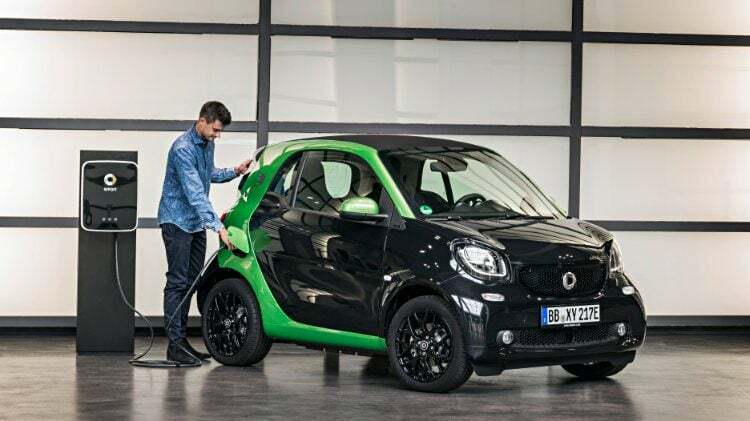 Smart was flying the electric car flag for Daimler with only three new Mercedes Benz electric cars registered in January 2018. Smart moved up from third for the full year 2017 while Volkswagen maintained its second place. Kia moved up from fifth while Renault slipped from first to fourth. BMW moved up a place and Hyundai two. Other carmakers failed to sell more than 100 electric cars in Germany in January 2018. Tesla slipped four places while Nissan slipped two. The Smart Fortwo was the clear favorite electric car model in Germany taking more than a quarter of the total electric car market in January 2018. The smart, which was only launched towards the end of 2017, moved up from third place for the full year 2017. The Kia Soul, up from fourth, joined the VW Golf at second place at the start of 2018 while the Renault Zoe slipped from first to fourth. The BMW i3 maintained fifth place while the Hyundai Ioniq improved from ninth. The Smart Forfour moved from 11th to 7th while the VW Up remained at 8th. The Opel Ampera improved from 14th to ninth. The Tesla Model S slipped from 6th to 10th while the Tesla Model X slipped from 7th to 11th. The Nissan Leaf, due for a new model soon, slipped behind the Nissan NV200. The Mercedes Benz B-Class was the only other model individually listed but with only 3 new electric cars registered hardly worth the effort. The Mitsubishi i-Miev, Peugeot Ion and Citroen C-Zero – long the mainstay of electric cars in Europe – seemed to become insignificant in 2018.